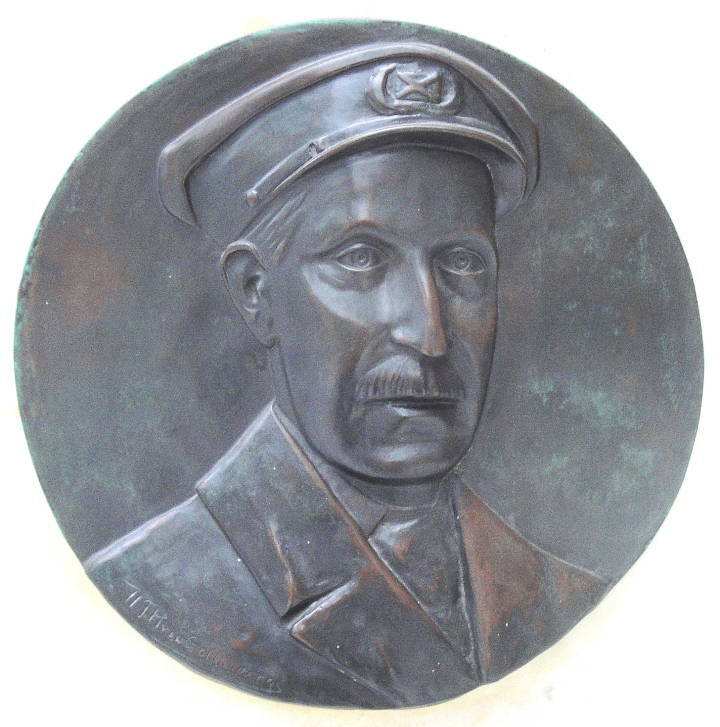 The man commemorated in this memorial was a merchant seaman, employed on the Great Eastern Railways’ steamers, crossing from Harwich to various ports of Holland and Belgium. In self-defence, he attempted to ram a German submarine with his steamer, the Brussels. When subsequently captured by the enemy, he was tried as a civilian aggressor, court-martialled, and shot in Bruges on 27 July 1916. 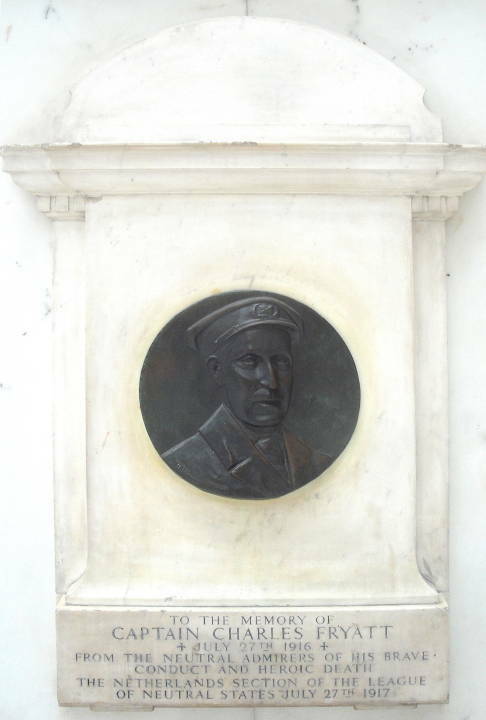 Ceramic panel above the marble pediment of the Great Eastern Railways Memorial. Ward-Jackson, Philip. 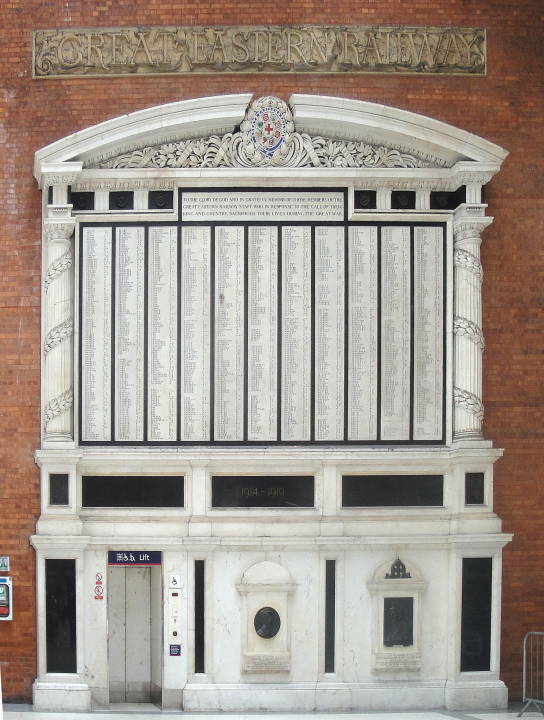 Public Sculpture of the City of London. Liverpool: Liverpool University Press, 2103.